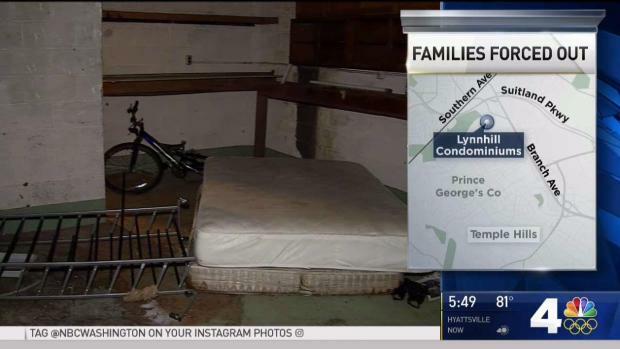 Fire code violations at a Prince George's County condo is forcing many families out of their home with no definite future. News4's Derrick Ward reports. Emotions ran high Tuesday afternoon after residents of a condo complex in Temple Hills, Maryland, were told they would have 24 hours to vacate their homes when the fire department determined the building was unsafe. This is the second time in the last year residents at the Lynnhill Condominiums have been forced to leave. During a news conference Tuesday afternoon, Prince George's County Fire Chief Benjamin Barksdale announced the building had too many code violations and residents would have to leave the property by noon on Wednesday. 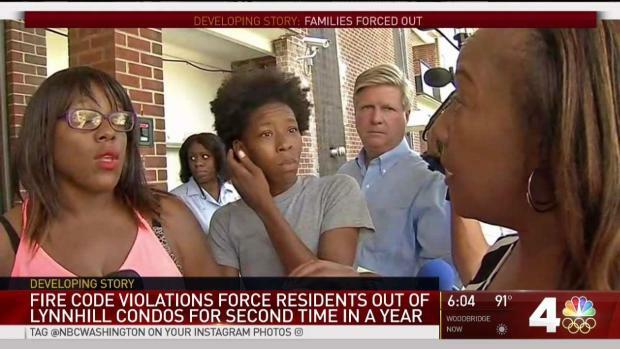 As Barksdale described the assistance residents would be provided, several women in the crowd interrupted the news conference to raise their concerns. The Prince George's County fire department told residents of the Lynnhill Condominiums in Temple Hills, Maryland, that they have to leave their homes by noon Wednesday. "Are y’all going to let me move into your house?" one woman shouted at the fire officials. 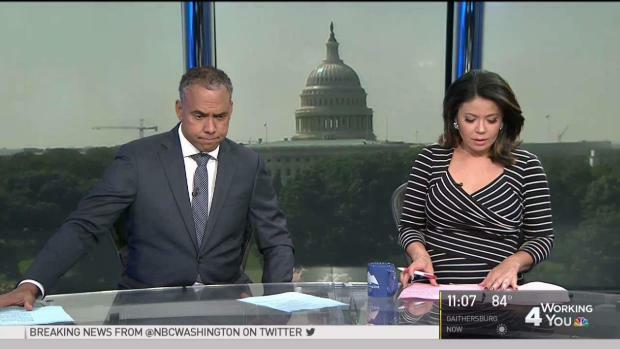 News4's Tracee Wilkins reports on the panicked residents and the reason for the shutdown. "You say the help is out here, but they're not helping anybody. I live here. I have nowhere to go," one woman yelled. Just last year, Lynnhill Condominiums' residents were forced to leave after the condo association failed to pay its bills and the power company shut off the lights. Walking through the building on Good Hope Avenue, visitors can see holes in the ceiling, trash on the floor, and elevators that haven’t worked in years. But one thing you won’t see are the necessary fire extinguishers required for buildings. Additionally, the fire department says the fire alarm system hasn’t worked in more than a year. On Friday, firefighters taped signs to the condo doors, letting residents know if the building managers didn't fix the problems by Tuesday, everyone would have to leave. “I mean, we do really need it fixed because what if there’s a fire and we have no alarm, so we really do need it fixed, but by Tuesday? That is really short notice for people, so how are we supposed to find living arrangements,” asked Malik Brackett, another condo resident. Emotions ran high Tuesday afternoon after residents of an apartment complex in Temple Hills, Maryland, were told they would have 24 hours to vacate their homes after the fire department determined the building was unsafe. William Johnson Jr., attorney for Lynnhill Condominiums, says they have tried to make repairs when needed, but money is tight. Most residents have moved out, and squatters have taken their place, he said. “You cannot please all people at all times. This is a very difficult situation, so we are trying to find a solution that best fits everyone,” Johnson said. 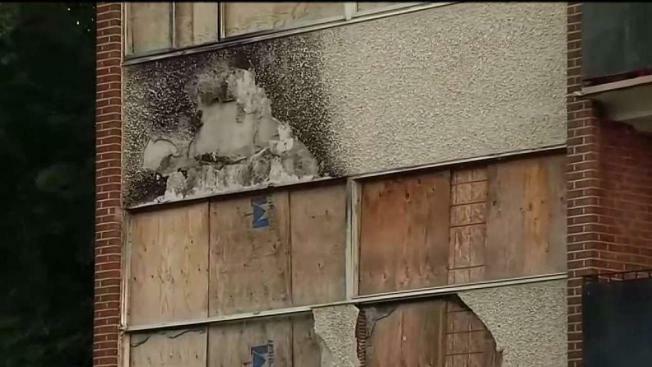 Fire code violations may force residents to vacate Lynnhill Condominiums for the second time after the fire department told residents the building was unsafe on Friday. But the families who call Lynnhill home don’t know what that solution will be.